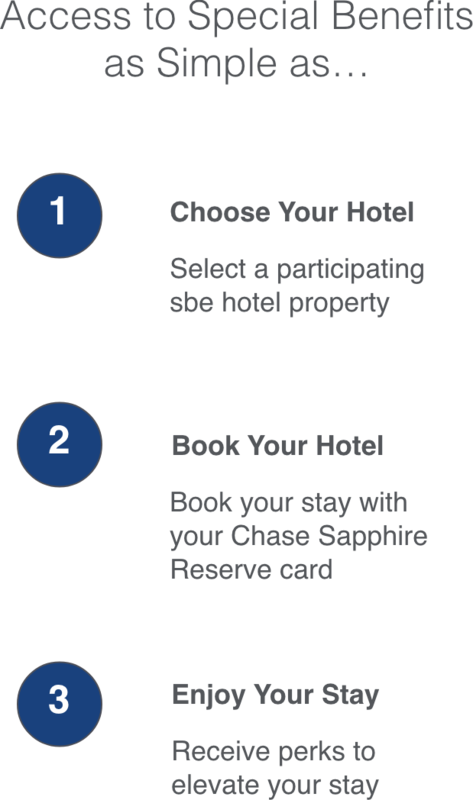 Through a new relationship with select sbe hotel properties, your Chase Sapphire Reserve card now elevates your stays at exclusive hotels and resorts around the world. The benefits above are subject to availability, property participation and our promotional Terms & Conditions. 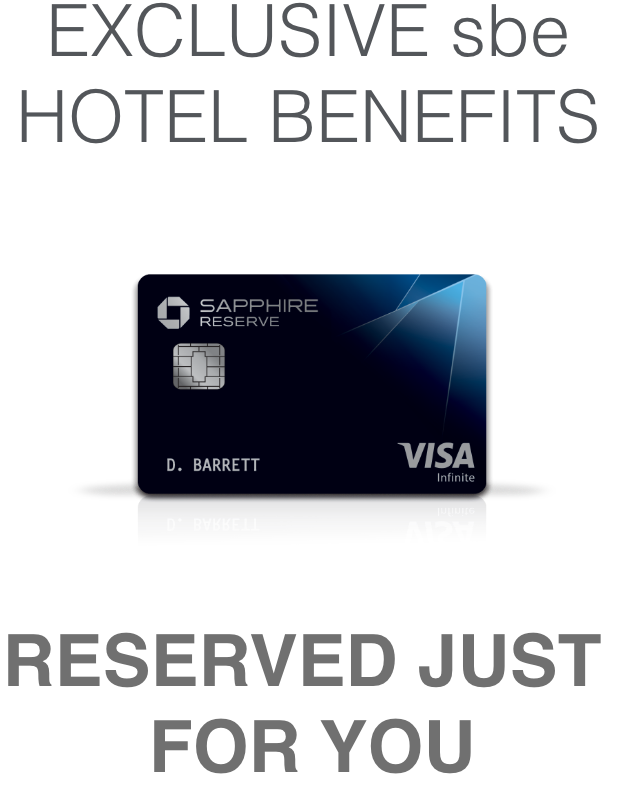 Rates offered are flexible allowing you to cancel without a fee. Please view the terms and conditions for details on each participating property.